Featuring free WiFi, Jingpiaoer Weisu Hostel offers accommodation with free laundry service in Jingdezhen. The property offers free WiFi and free access to off-site parking. Jingdezhen Ceramic Institute can be reached in 8 minutes by car. It takes 31 minutes by car to Jingdezhen Airport. Each room is fitted with a shared bathroom. For your comfort, you will find slippers and a hairdryer. Luggage can be stored at the 24-hour front desk. 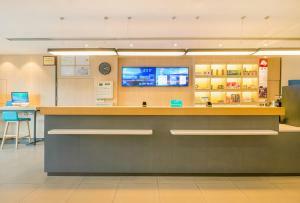 A tour desk and private check-in and check-out are also available. A selection of local cuisines can be found near the property within 100 metres. Street food is also available. 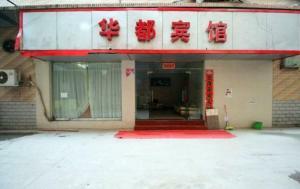 When would you like to stay at Jingpiaoer Weisu Hostel ? This dormitory features air conditioning. Both bathroom and toilet are shared.The rate is for 1 bed only. This double room has air conditioning and a desk. Both bathroom and toilet are shared. Each day we'll check prices and send you an email for your selected dates at Jingpiaoer Weisu Hostel. If you don't have specific dates but would like to check prices for say next weekend or say next month we can check the price too. Click to write a review and share your experience of Jingpiaoer Weisu Hostel with other travellers.